Each piece is made by hand and is a one-off. 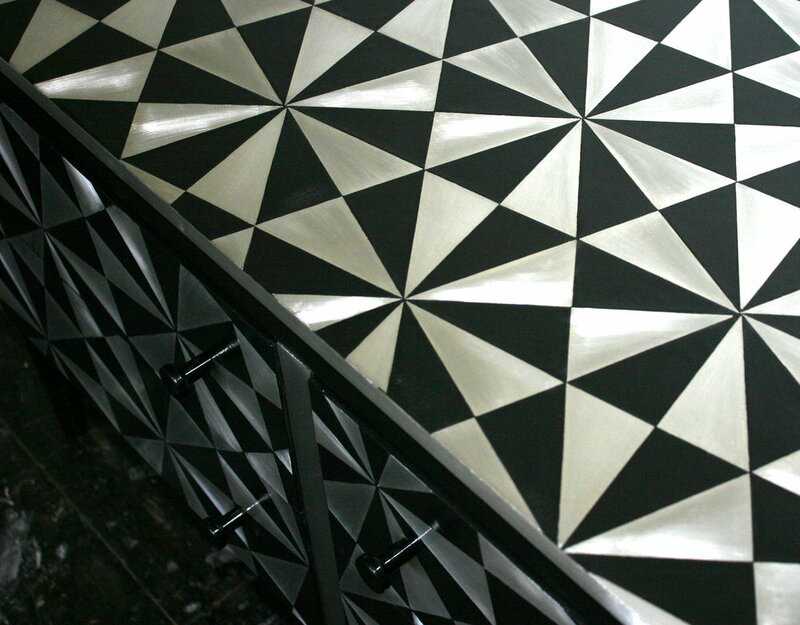 I inlay my design cut from sheet metal with gesso on a reconditioned and often remodelled piece of furniture. The colour of the gesso can be customised.